For an introvert like me, music is a great way to make acquaintances… I don’t do small talk, I don’t have a TV, and I don’t particularly follow the sport du jour. But give me an opportunity to improvise with another musician, I can learn a lot more about what makes them tick then I would by chatting about “the usual.” It’s also a great way to know people far different from oneself – you don’t even need to speak the same language! – people from other classes, cultures and backgrounds. When we interact using our instruments, we take our place in an unscripted conversation that is already going on. I like that! Not all that long ago, I was attending a conference on global mission near Budapest, Hungary. It was attended by colleagues of mine (mostly American) from all throughout Europe. In addition there were scores of participants (mostly European) who were drawn into the conversation about how what we’ve been learning about globalization, strategic partnerships and integral mission affect our perception of our respective callings. There were speakers from Latin America, Asia, and Europe. 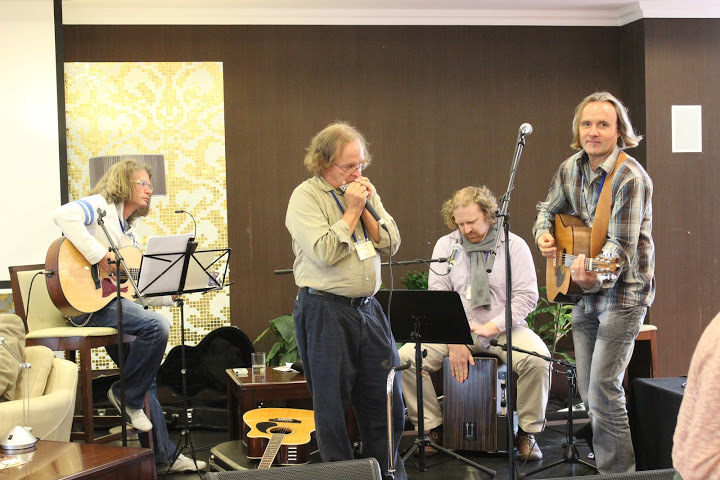 There was a musical group (all Germans) which was engaged to play “praise and worship” music (mostly American, I fear) at the start of our sessions. They also played some tunes during the breaks betwee n the sessions. Now anyone who knows me knows that I am almost always “armed” with a concealed instrument… often a harmonica. This was the case this time as I had my Hohner XB-40 in my computer bag (with which I had earlier been spotted by folks on one of the hotel balconies as I walked the path around the conference center blowing a little blues the night before). Security Note: If you’re thinking of traveling with your harp, you may want to know that, from what I’ve been told, when viewed through a TSA X-ray scanner, a harmonica looks an awful lot like an ammo clip. 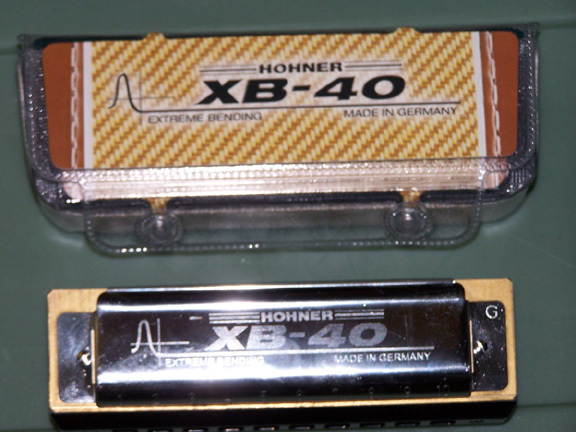 Whether or not that’s true, I wouldn’t know, but I do know that I am asked to pull it out and show that it’s a harmonica on just about every flight I’ve made with my Hohner in my carry-on. Anyhow, I had gotten a cup of quality espresso, talked to a few folks about the vibe at the conference (you get that diverse of a range of voices, and something is bound to come out that will rub some folks the the wrong way), and had taken a seat, which happened to be near the dais. The band (with whom I’ve since become friends, on Facebook at least) was starting in on “I Shot The Sheriff” by Bob Marley. Out of curiosity, I pulled out my harp to see if they were playing it in G, as I suspected. They were, which meant my “C” harmonica would fit right in. Mostly for my own amusement, I started noodling along. The guys in the band saw me and right away started waving for me to come up to the stage and blow with them. I, not wanting to be a buttinsky, demurred. The guitar player motioned a second time, which I waved off. At the third request, I accepted (in true Ukrainian fash ion) and hopped up to join in. So there we were: an American guy (recently relocated from the capital of Ukraine to rural Virginia) joins in with band of Germans to play a song written by a Jamaican to an audience of Scandinavians, Germans, Latins, Asians, Slavs and Yankees. OK, the ending is a little weak, but I thought they were cutting it off at the turn. The first 30 seconds at least is decent, isn’t it? 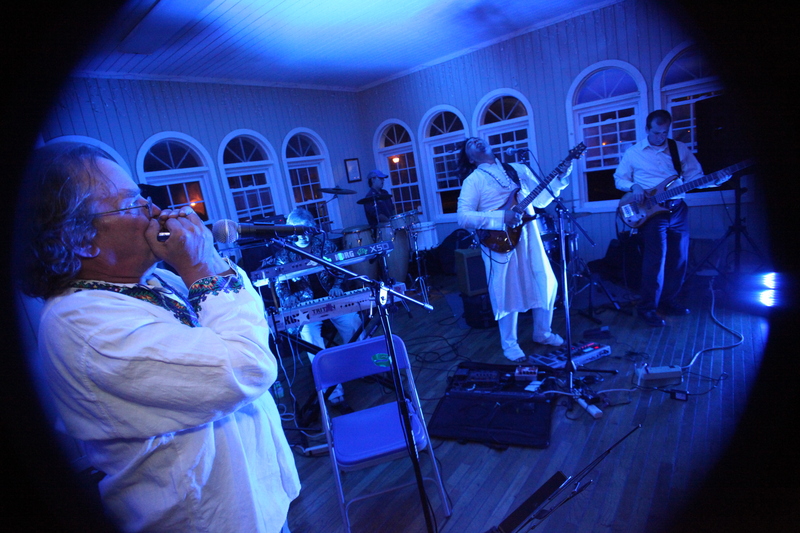 That little bit of improvising got me in good with the band – we played a lot more after that – and was a great conversation-started with many of the people with whom I really desired to start conversations. It also got me thinking about improvisation as a metaphor for… well a whole lot of things in the world of mission, particularly what I’d call missional theologizing. I’ll start to unpack this tomorrow… I promise.